Looking to add some flare to your front end while also protecting your tail lights from aging? The Lamin-X Tail Light Film Covers for your BMW F80 M3 and F82 M4 are the number one choice in tail light protection and styling. SELECT WHICH COLOR IN DROP DOWN MENU BELOW. Lamin-X Tail Light Film Covers provide that extra style your car lacks with the stock tail lights. Some people will spend the hundreds of dollars on another set of tail lights to achieve this same look when the Lamin-X Tail Light Film Covers are high-quality while also being very affordable. 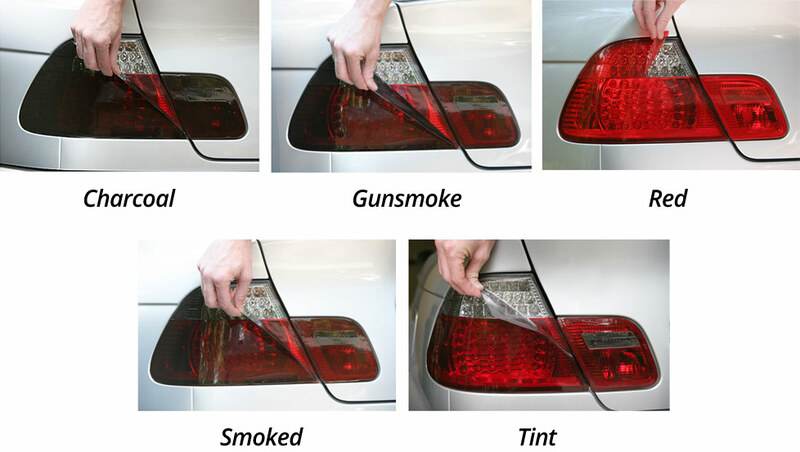 All films still allow for excellent visibility and even protects your tail lights from any unwanted debris and dirt. Made from impact-resistant 12 millimeter protective film, the adhesive backing protect your lights from the cloudy look that occurs naturally over time. If you are installing the film covers yourself, the adhesive backing allows for mistakes as it is understandable to not align the edges perfectly with the shape of the Tail Light. Adhesion strength isn't affected at all. The Lamin-X Film Covers have been tested under extreme environments and even through numerous professional road races since the 1990s. Interested in purchasing the Lamin-X Tail Light Film Covers for your BMW F80 M3 / F82 M4?